Dallton Consulting Engineers (DCE) has combined its engineering and 12d skills to grow into one of Victoria’s premier land development design consultancies. 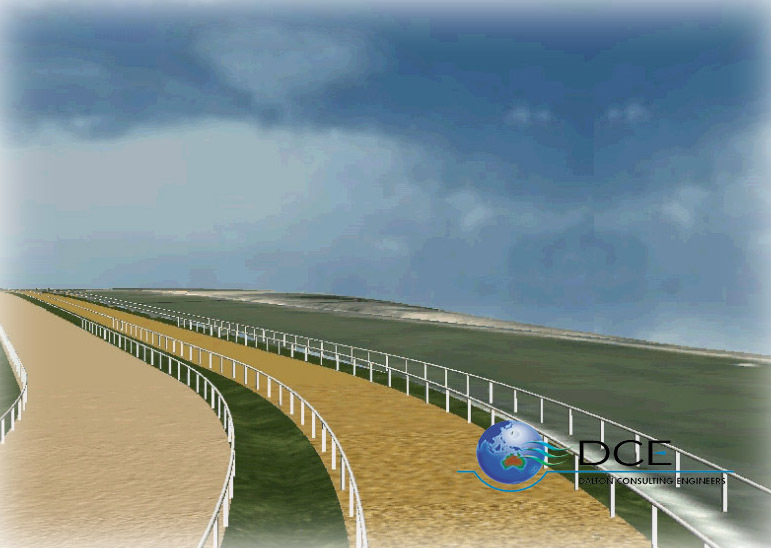 DCE offers specialist services to the racing industry, designing racetracks and associated facilities. 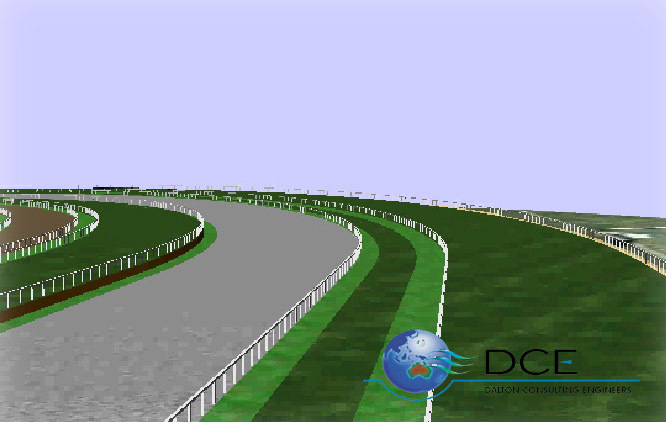 Recently, DCE was involved in the reconstruction of the dog racing track in Dapto, NSW. 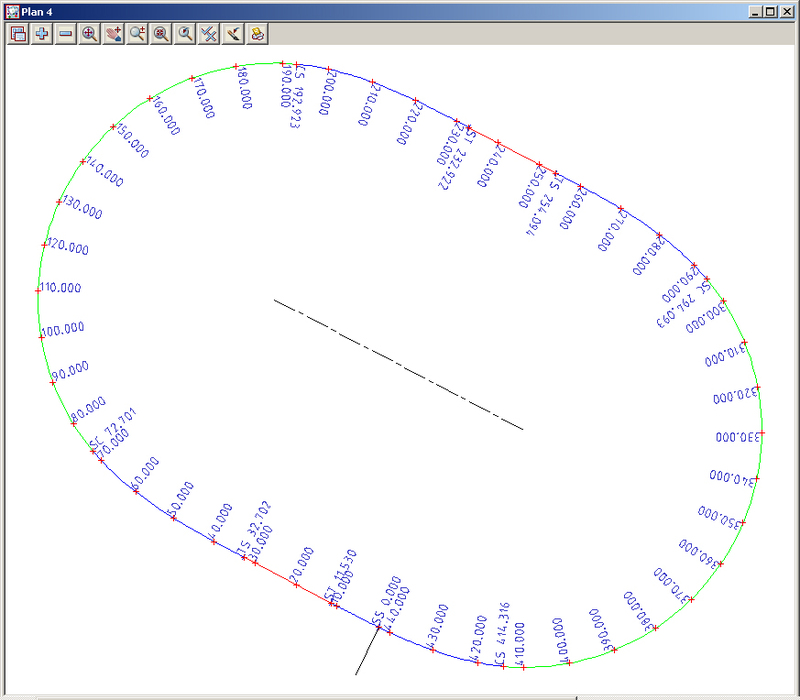 The track is defined by two circular arcs, and front and back straights. It also includes transition spirals. 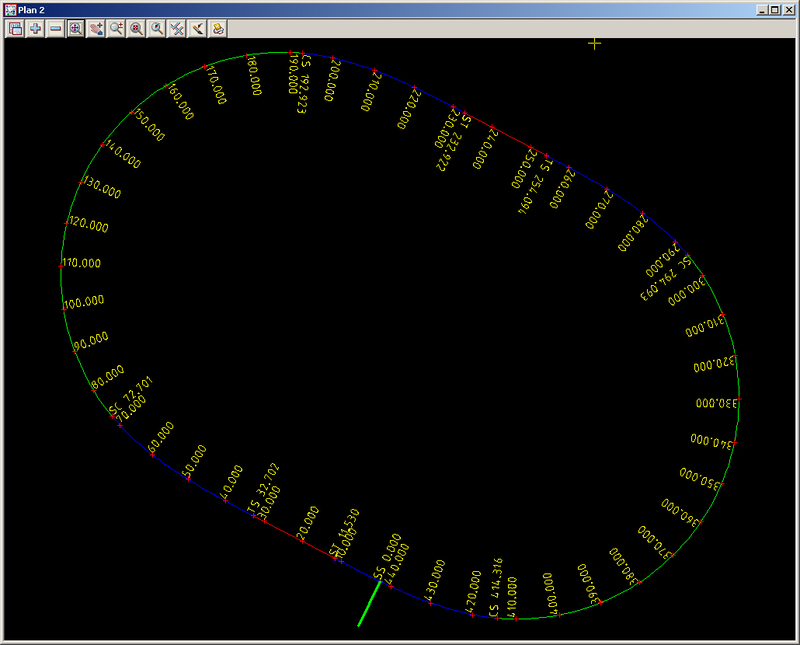 As the track is a closed loop, the new Super Alignment string editor was used. Using a Super Alignment string, there are eight parts to this track.